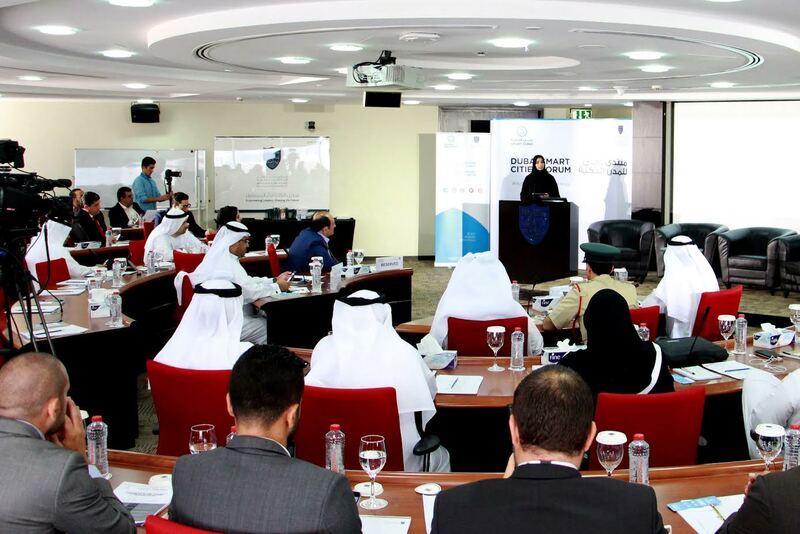 Dubai-UAE: The Mohammed Bin Rashid School of Government (MBRSG), a research and teaching institution focusing on public policy in the Arab world, hosted the eighth session of the Dubai Smart Cities Forum under the theme ‘Blockchain and the Next Wave of Smart Cities Technologies’. Organized on 10 October in cooperation with the Smart Dubai initiative, the forum convened industry experts and leaders from public and private sector entities to share expertise, discuss challenges, and review global best practices as part of joint efforts to achieve Dubai’s smart city ambitions. The sessions aimed to update government officials and decision makers on the latest developments in smart city projects. Participants at the one-day event included Osman Sultan, CEO of Emirates Integrated Telecommunications Company du, Dr Marwan Al Zarouni, IT expert and founder and Director of a Bitcoin trade company supported by Dubai SME, and Mohammed Shael Al Saadi, CEO of Business Development and Strategy at Dubai Department of Economic Development (DDED). For his part, Al Saadi stressed the importance of raising public awareness about all aspects of the ongoing digital transformation, including the Bitcoin concept. He believes that learning the basics of these tools in order to make full use of their capabilities will benefit the individuals and the society as a whole. Dubai Smart Cities Forum is a series of thought leadership sessions that convenes experts in a creative and stimulating environment to exchange ideas and discuss challenges related to the Smart Dubai Initiative. The event highlights local and global smart city trends in sectors such as management, human and urban development, services, infrastructure and planning. Envisioned by His Highness Sheikh Mohammed bin Rashid Al Maktoum, Vice President and Prime Minister of the UAE and Ruler of Dubai, the Smart Dubai project is currently underway in line with the directives of His Highness Sheikh Hamdan bin Mohammed bin Rashid Al Maktoum, Crown Prince of Dubai and Chairman of Dubai Executive Council.